The next instance of weighty different from all the others presented in our rating. This watch is no longer possible to buy. This is — a unique specimen, which was sold in 2009 at an auction in Geneva for the 2,773, 720 conventional units. Austerity and minimalism. Watches from the Swiss company Patek Philippe made in 1942. There is a perpetual calendar, moon phases pointer, and the product is made of 18-carat gold. 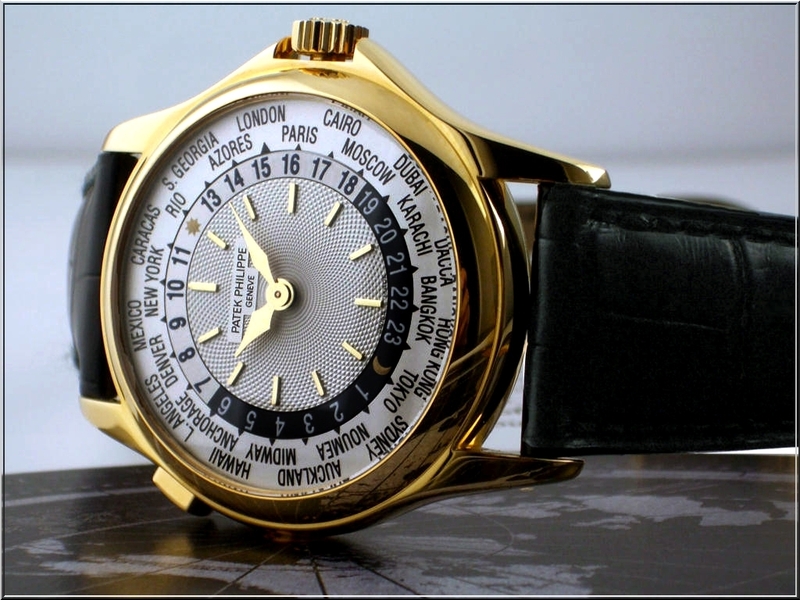 Patek Philippe Model 2523 Heures Universelles — this is just another invention of Switzerland. It was sold in 2012 at the Geneva auction for 2,990,154 dollars. What is special? The fact is that the clock shows the time in 24 time zones. A glass-lined image of North America map of enamel favorably complements the dial.